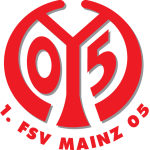 Wolfsburg vs FSV Mainz 05 predictions for this weekend’s German Bundesliga. Wolfsburg continue their chase on the top six when they host Mainz at the Volkswagen Arena on Saturday. Read on for our free betting tips and match preview. Wolfsburg look to have steadied the ship with four points from two games after starting the new year with back-to-back defeats against Schalke and Bayer Leverkusen. Dutch forward Wout Weghorst was on the scoresheet again last weekend – his eighth goal of the season and his second in two league outings – and his efforts helped the Wolves to a 3-3 draw, which sees them now one point short of qualifying for the UEFA Europa League, though they are still six points behind RB Leipzig and the top four. Out of the DFB Pokal after last Wednesday’s 3rd Round defeat to Leipzig, coach Bruno Labbadia will be solely focused on making Europe a reality. Mainz’s start to 2019 was going swimmingly enough until February. Friday saw the 05ers lose a second consecutive match for this first time since October – a 5-1 thrashing at the hands of form side Bayer Leverkusen – but there’s still a comfortable cushion between themselves and the relegation zone following two wins against Stuttgart and Nurnberg before that. Mainz’s defense is on the slide – they boasted one of the best records in the division over the winter break – but, fortunately, coach Sandro Schwarz seems to have addressed the “goal problem” that plagued them earlier on this season – Mainz have scored at least one goal in all but 1 of their last 13 league outings. Mainz look to take advantage of that and their change to a more goal focused approach should be an influential factor in this match, and consequently, we expect this to be a high-scoring game. Wolfsburg’s recent defensive performances haven’t been much to write home about – the Wolves have conceded two goals or more in four of their last five in the Bundesliga – and Mainz haven’t been doing much better either – they’ve failed to keep a clean sheet in 13 of their last 14 league outings too. A recipe for success in terms of goals. We mentioned Wolfsburg’s Weghorst for goals on the hosts’ part, but Mainz’s own attacking duo Quaison and Mateta have some in them too – they’ve scored 6 of Mainz’s last 9 goals. Only Freiburg’s matches (20) have seen more goals in 2019 than Mainz’s (17 – an average of over 4 goals per game) as well, and Wolfsburg aren’t too far behind (13 – an average of over 3 per game). Going off form, you might expect Wolfsburg to come out ahead, but Mainz are unbeaten in eight Bundesliga games against them (W1 D7), their best current unbeaten run against any Bundesliga team, so there’s an argument for them coming away with something. Interestingly, each of the last six meetings between these two sides have ended in a draw, one more would equal a Bundesliga record, and for that reason we like the odds on this potential thriller to end deadlocked. Our prediction: a 2-2 draw. Mainz are unbeaten in eight Bundesliga games against Wolfsburg (W1 D7), their best current unbeaten run against any Bundesliga team. Each of the last six meetings between Wolfsburg and Mainz have ended as draws. A seventh consecutive draw would equal a Bundesliga record. Only Bayern (25), Dortmund (23) and Leverkusen (22) have picked up more points in the last 10 matchdays than Wolfsburg (20). With 32 points from 21 games, Wolfsburg are enjoying their fourth-best ever Bundesliga season. They haven’t been better off after 21 matches since 2014-15 (44; finished 2nd). Wolfsburg have qualified for Europe on all four occasions that they had 32+ points after MD21. Mainz 05 have scored in 12 of their last 13 Bundesliga matches, only failing to find the net in the 3-0 defeat in Augsburg on MD20. Mainz have conceded eight goals in their last two league matches – the most they’ve ever conceded in two consecutive Bundesliga outings. Mainz have conceded at least one goal in each of their last eight league matches (19 in total) and have kept just one clean sheet in their last 14 games – a 1-0 win in Düsseldorf on MD13. Wolfsburg’s Wout Weghorst notched a goal and an assist in their 3-3 draw in Freiburg. He has scored (8) and been involved in (11) more goals than any other Wolfsburg player this season.